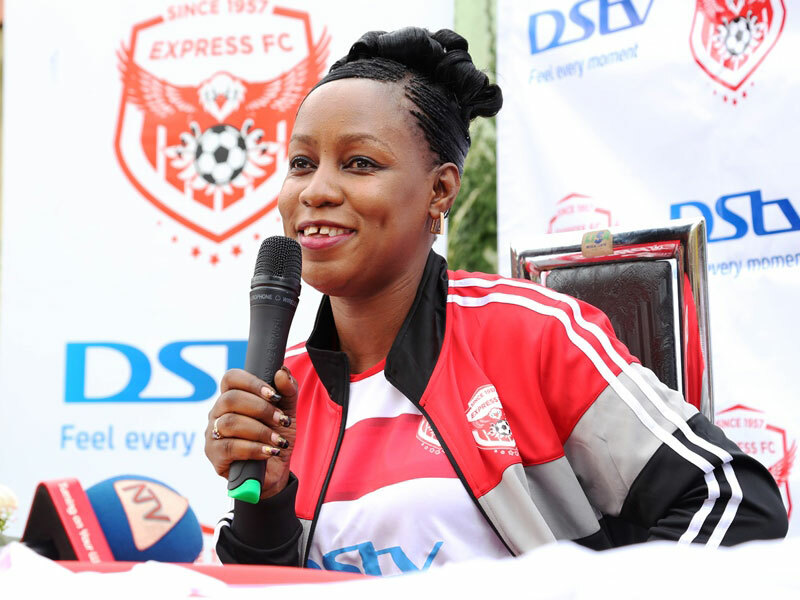 FOOTBALL — Express FC chairperson Florence Nakiwala has put the recent controversial handling of a former player behind her by raising efforts to woo SportPesa into the country and Wankulukuku. Nakiwala who is also the Minister for Youth and Children Affairs was in attendance in Dar es Salaam Tanzania, to watch Gor Mahia play English Premier League side Everton in an off-season friendly match organised by SportPesa last week. Sources say the Red Eagles supremo was in Dar to personally extend an invitation to SportPesa to venture into Uganda. It is reported that talks between Uganda government and SportPesa are proceeding albeit at a snails’ pace and if an agreement is achieved, the betting company will soon launch in Uganda. While a deal is vaunted as a nationwide cause, Nakiwala has exploited this chance to sell the prospect of SportPesa sponsoring Express FC. Over the course of weeks, Nakiwala is reported to have met with SportPesa chief executive Ronald Karauri but that it is still too early to draw conclusions on whether the betting firm will open operations in the country. The Kenyan betting firm are the official sponsors of English side Everton FC and Nakiwala and the Wankulukuku hierarchy are hoping that the financial muscles of the firm could change FC’s fortunes. The Red Eagles signed a Sh300-million sponsorship deal with pay TV giants DStv last year, and there was a tinge of feeling that their financial constraints that had become fodder for the press had been cured for a foreseeable future. But the 2016/17 season, in which Express FC finished fifth and struggled to pay their coaching staff and players for months painted a different image. The massive exodus of the bulk of first team players from last season’s squad has been blamed on poor remunerations. The lack of enough funds has been cited as the main reason the Red Eagles have not yet started pre-season training with the beginning of the new season a month away.